Customer Relationship Management, or CRM for short, is widely regarded as a tool sales teams can leverage to ensure a qualified lead becomes a sale and sales become repeat customers. To those savvy martech veterans, CRM will be a familiar name, even if only in passing. Truth be told, many of the automation vendors we talk about every day are also deal in CRM. “Why’s that?” you may ask. The simplest answer is that marketing automation and CRM aren’t so different, both on a technical and functional level. Organizations can benefit a great deal from utilizing both solutions in tandem. Check out exactly how they can help you after the break. 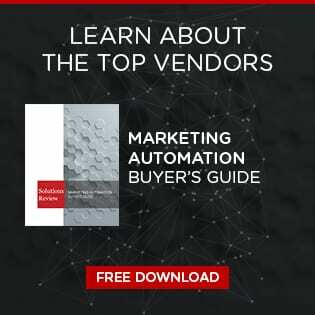 CRM and marketing automation are both tools that allow you to control different parts of the buyer’s journey. When used in tandem, these solutions can help forge the most complete and structured customer experience from beginning to end. Automation has the potential to take a lead from a cold email to qualified and ready for the sales handoff by virtue of relationship building emails and nurturing each lead. CRM is, at its core, a data repository for customer information that facilitates interactions between your sales team and the prospect. Can you see what we’re getting at here? Let’s get a little selfish for a minute though. Sure, the dynamic duo of CRM and automation makes the customer’s experience better, but what does it do for the people in your organization? It’s a well-known fact around these parts that automation will save your marketing team a lot of time and aggravation, but it’s a lesser known fact that CRM can have a similar effect for sales teams. With a CRM’s propensity to automate and otherwise keep track of normal processes, teams can be spared a great deal of time-consuming work. That’s time that can be spent on more fruitful endeavors. Time your team will surely appreciate. Speaking of time, when was the last time you found yourself wishing you had another solution? Something that would take care of another process for you? We’d be willing to bet the answer is “pretty recently”. Luckily for you, most solutions offer integration capabilities. These solutions allow (and in some instances encourage) users to bring in third-party software to make the maximize the effectiveness of their CRM or automated solution. Take, for example, the CRM tool Copper, which is structured around Google’s G-Suite. The solution is built from the ground up to encourage that level of integration to make the software work more efficiently. The best reason to buy into both CRM and marketing automation? You can probably get both from the same provider. Most marketing automation providers like Oracle, Salesforce, Zoho, and Hubspot all develop their own CRM products. Some, like Zoho and Salesforce, are more renowned for their CRM capabilities. Hubspot is unique in the market in that they offer their CRM solution for free. You can go get a CRM solution right now. For more comparisons between Marketing Automation and CRM products, click here to read our article comparing the two.